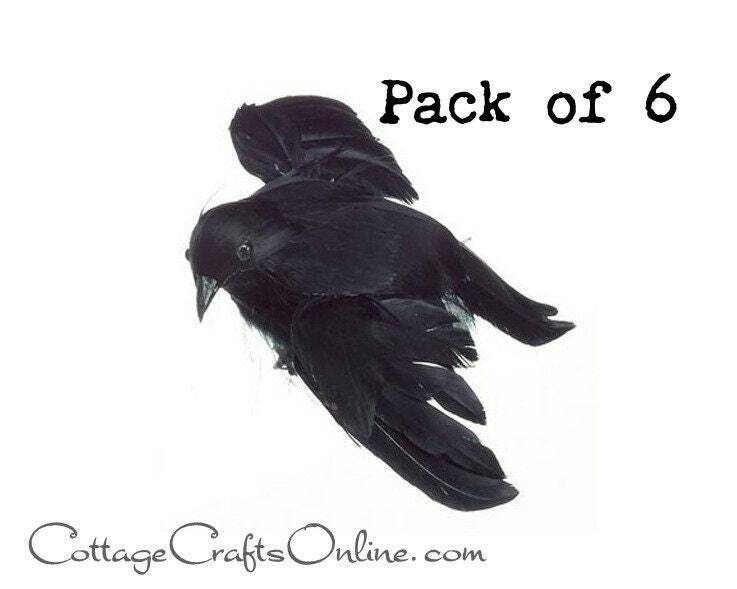 Black feathered crow is 4.7" at it's largest dimension. Quality product from large, well-known craft supply company, Darice. The smaller size allows the bird to be perched easily on picture frames, mirrors and plants. This listing is for SIX birds. RETURN POLICY: Please choose carefully as seasonal items, including this item, are not returnable. Highly recommended item and seller! Thank you Elizabeth!